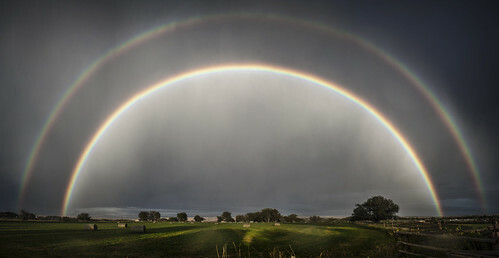 Currently viewing the tag: "storm"
Photo of the Day: Double Rainbow; what does it all mean? Today’s photo: this one is from Jonmikel, who managed to capture this beauty from the comfort of our backyard in Lander, Wyoming, right after a fall squall. Big skies mean big fields, big spaces, big storms, and big rainbows.